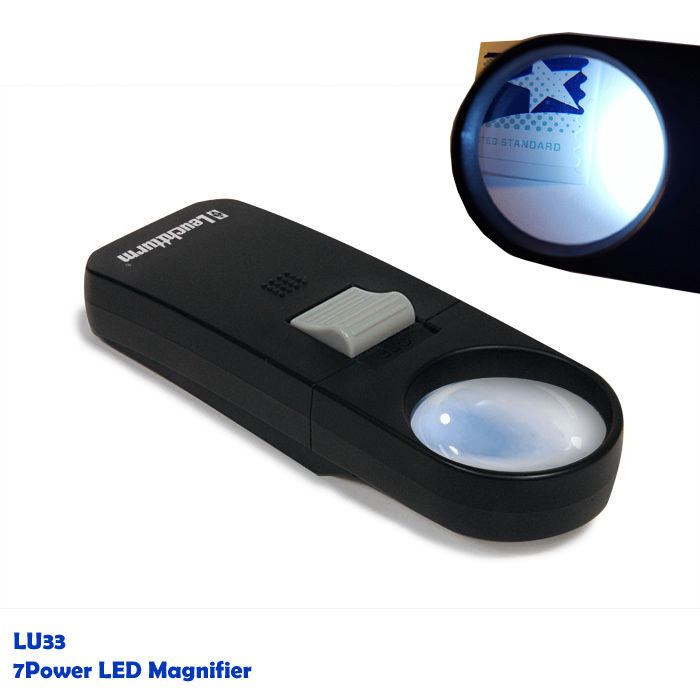 Handy pocket magnifier with Perspex aspheric lens, powerful white LED, and 7x magnification at an affordable price - which is just right for many collectors. Lens diameter: 1 3/8" (35 mm). Includes three batteries (AAA). Overall size: 4 ¾x 1 3/8 x 1" (120 x 42 x 26 mm).